From the day Uber started offering its ride-sharing service, it’s been fighting with drivers and governments over its lack of benefits and low wages. On Thursday, it signaled that it wants to give drivers a peace offering in the form of a piece of the company. 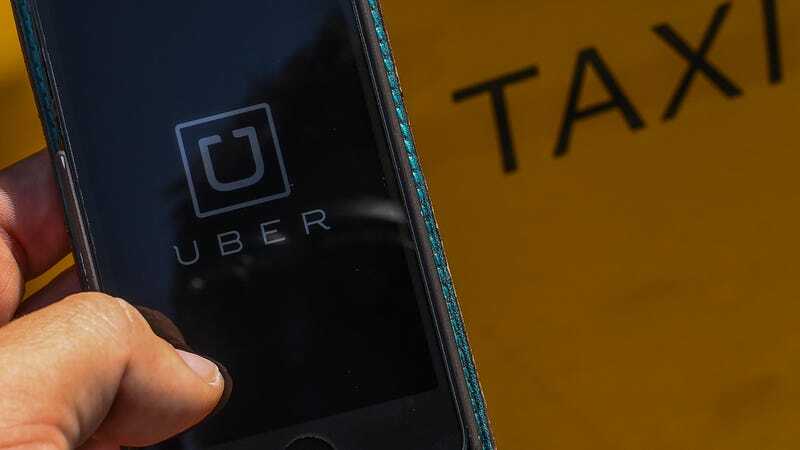 Uber believes that the question of whether compensation for a certain job is the worker’s primary source of income should be irrelevant in assessing whether the worker should be able to receive securities in a non-capital raising context. For example, various technology platforms have made it easier for a person to take advantage of more than one work opportunity, including providing similar services by using technologies offered by multiple competitor companies or even providing services simultaneously through separate companies, and to earn a living as a participant in this entrepreneurial economy. As a result, workers are less likely to be able to point to one job as a primary source of income and many individuals participate as entrepreneurs gaining income through multiple sources of work. From the outset of the letter, Uber says it prefers the term “entrepreneurial economy” over the more common “gig economy,” but it’s hard to justify that perspective when drivers aren’t really building their own business. Before Uber came along, many drivers were independent entrepreneurs who took out loans for their cars and expensive licenses to operate taxi cabs. Uber has gutted that industry, and drivers are simply freelancers who are growing someone else’s business. The consequences of the new market shaped by Uber and its ilk are sometimes tragic: New York has seen a wave of suicides among taxi cab drivers as they find it increasingly difficult to make ends meet. But it’s unclear how any of this would work if Uber does receive the SEC’s blessing. We’ve reached out to Uber to ask if it has further details on how it would like to operate an equity-sharing program, but we did not receive an immediate reply. Rule 701 was altered earlier this year to allow private companies to issue up to $10 million in equity to employees before they would have to start filing extensive financial disclosure forms with the SEC. Uber is looking to go public in 2019 but certainly wouldn’t want to start making disclosures before then. As of December 2017, Uber claimed to have around 2 million drivers globally, and 750,000 in the U.S. $10 million wouldn’t go very far distributed among that many people, but Uber would almost certainly set limits on who qualifies for compensation. Airbnb sent a similar letter to the SEC last month requesting the option to share equity with hosts that rent out their homes, so it appears this kind of initiative is gaining steam with gig economy startups. Before anyone gets too hopeful about the possibilities this kind of arrangement might offer, they should look back at a similar plan Uber competitor Juno set up with its drivers. Juno modeled itself as the more driver-friendly startup with contractors receiving a larger percentage of shares and “restricted stock units” that would become valuable in the event the company was sold or went public. Last year, Gett bought Juno for $200 million. When drivers stepped up to collect their reward, they were offered $0.03 per restricted stock unit, bringing the average payout to around $100.